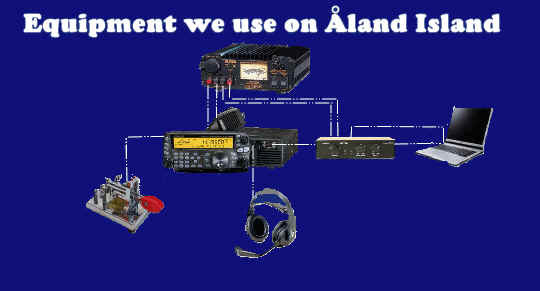 I Love CW, but I'm still a humble CW Operartor, beeleave me I'm trying to improve everyday, and maybe 10 years from now I could transmit and receive fast like some friends I've. Anyway I'm trying to work at least on the DX'peditions. I Can�t perform CW Pile-ups because I still have a hard hears. So if you can't hear us on any Phone Frequencies take a look on CW but be pacience. MICRO KEYER is a powerfull All-in-one multi mode USB interface for CW, SSB, AM, FM and digital modes (RTTY, PSK31, SSTV, APRS, PACKET Echolink and many others. Using a single USB port and a sound card, MICRO KEYER can interface with any Windows-based logging or control program to run any FSK, CW, AFSK,SSB AM, or FM mode. MICRO KEYER also includes a rig control interface (CAT/CI-V) with interfaces for all radios, a powerful CW memory keyer, and a buffer for keying a Power Amplifier. This is how the spider beam evolved over the last years.he spider beam is a full size lightweight tribander yagi for 20/15/10m,or 5-band-beam (20-17-15-12-10m). made from fiberglass and wire. ir mother ton gue, making it available in several different languages. Because of the great response I decided to make the antenna available in kit form.he complete material kit contains all the parts necessary to build the antenna. ith continuing efforts to make portable equipment ,even more rugged and durable SPIDERBEAM have now developed a new "HEAVY DUTY" version of our well-known 12m pole. The first prototypes were tested last November/December during 120km/h winds at the North Sea coast and performed just great!